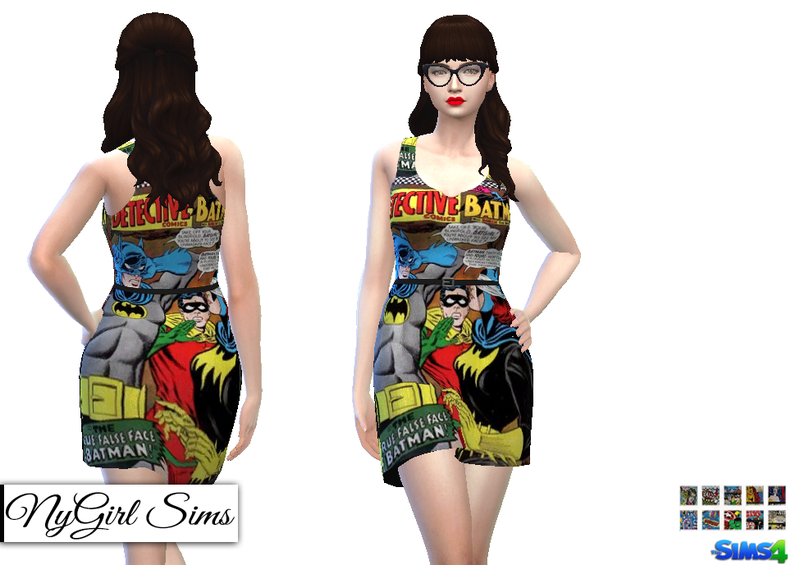 A racerback tank style dress adorned in comic book prints and finished with a thin black belt. Made with a mixture of TS4 textures. Comes in 10 presets.